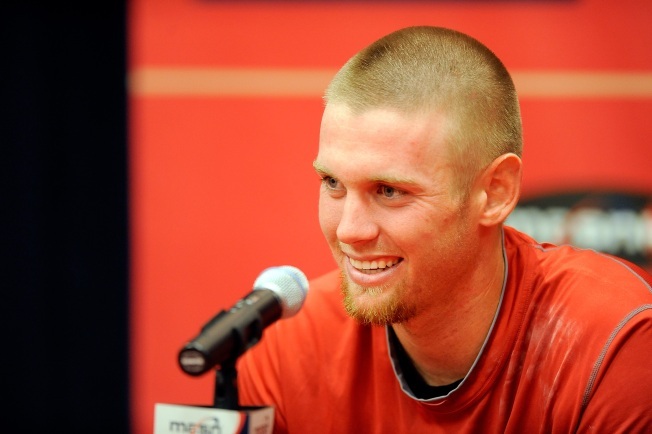 Nationals fans can think of a lot more than 10 reasons to be thankful for Stephen Strasburg. So far, they can probably think of 14. Tonight the Nationals star will deliver the famed "Top 10" list on Late Night with David Letterman. We don't know what the subject will be. We do know that MASN is thankful for Strasburg. He made his professional debut on Tuesday night against the Pirates and set a new team record, striking out 14 batters. The start earned MASN a 7.1 rating, the network's best ever. To put that in perspective, there were 165,000 people watching.